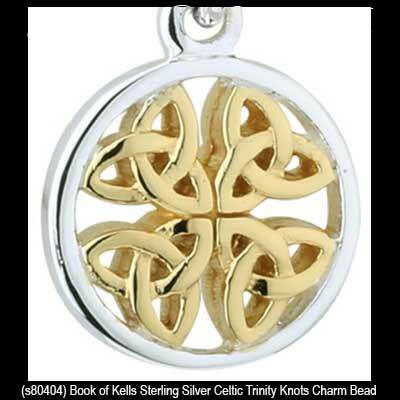 Sterling silver Celtic charm is a design adapted from the Book of Kells that features a dangle Trinity bead with gold plated accenting. Celtic charm has been hallmarked sterling silver by the Irish Assay Office at Dublin Castle in Ireland. 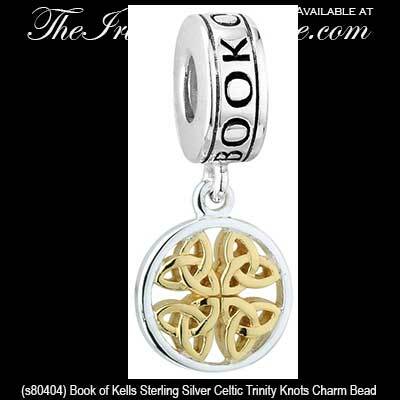 Sterling silver Celtic charm features a Celtic knot design from the Book of Kells. 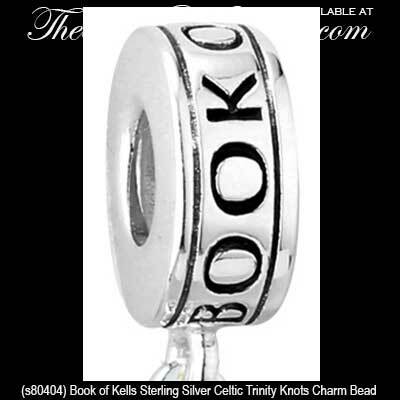 Sterling silver Celtic charm from the Book of Kells features a dangle Trinity knot bead with green enamel accenting.